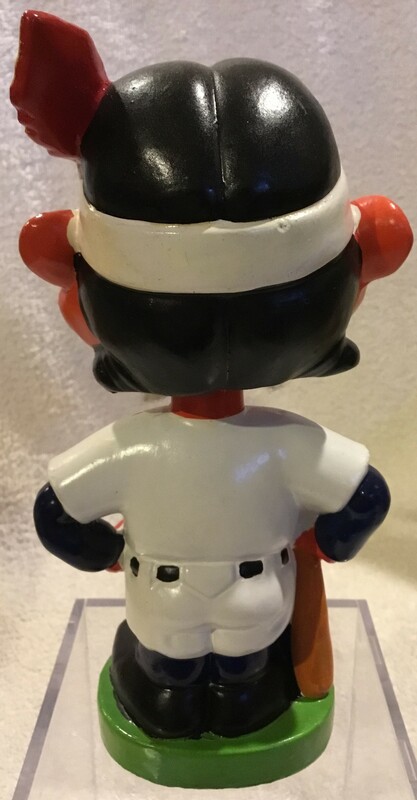 This early 60's doll is from Baseball's Green base series. 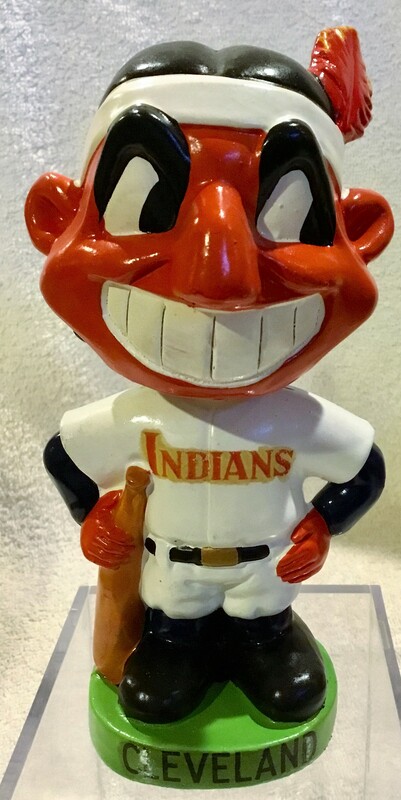 It features the mascot head of the Cleveland Indians- Chief Wahoo. This example has bright coloring and strong decals. There are no chips or cracks- it's near mint.